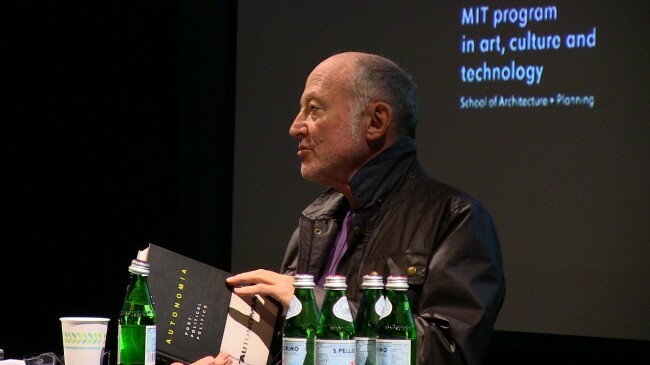 Sylvère Lotringer will address the notion of autonomy, its planting, plotting, and propagation as the means to imagine and propose alternative relations to land, history, politics, and art. 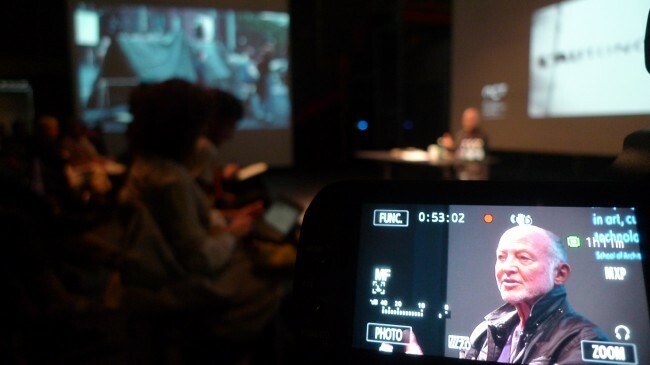 Lotringer’s talk expands the discourse initiated through the international archive platform, the exhibition Disobedience: An Ongoing Video Archive. Sylvère Lotringer is the general editor of the seminal book series Semiotext(e). As a literary and cultural theorist, his major contribution was introducing French theory to the United States. In 1979, Lotringer traveled to Italy to document the post-Marxist Autonomia movement, which resulted in the special publication Autonomia—Post-Political Politics. 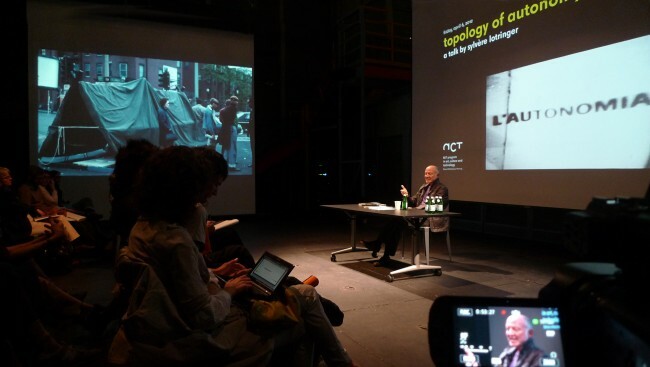 Lotringer is a Professor of Foreign Philosophy at the European Graduate School in Saas-Fee, Switzerland and Professor Emeritus at Columbia University. This section focuses on revolutionary politics in Italy in the 1970s, especially 1977, the year the movement climaxed in large-scale violent confrontations with a reactionary and authoritarian state. The videos here were political tools in the students’ and workers’ struggles that define that crucial year. They include works by Italian underground cinema pioneer Alberto Grifi (1938-2007, Rome) and by the independent video collective Dodo Brothers (active in 1977, Bologna), among others. 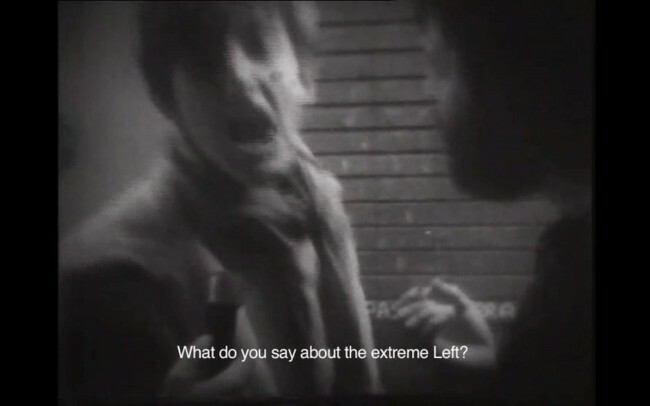 Key episodes in and around 1977 were featured in the videos: the Parco Lambro Festival in June 1976, the police raid on Alice Radio and the Congress against the repression in Bologna. The roots of the contemporary multitude can be traced back to the post-Workerist radical left in Italy in 1977, whose heterogeneous protagonists were no longer limited to factory workers. As Italian theoretician Franco ‘Bifo’ Berardi writes: ‘the 1977 movement in its expressive forms and in its political intuitions seems to be current in the behavioural strategies of the movement after Seattle, and more generally, in the behaviours of political and existential independence in the living cultures (I can no longer use the word alternative) of our times. How come? From my perspective, the answer lies in the two-sided, ambivalent nature of the 1977 movement, which is partly influenced – especially in its awareness – by the history of the workers’ and communist revolution of the 20th century. On the other hand (and perhaps in the more vibrant, deeper and less superficially sensitive part), it is an anticipation of the social and anthropological crisis of the forms of modernity and perhaps of the forms of humanity.’ (Berardi, excerpted from Disobedience and Cognitariat, a conversation with Marco Scotini, 2005). In this film, the 1977 movement speaks to the world and represents itself. Friends are in prison, repression is intense and the Communist Party claims that the people of the movement are provocateurs: the Dodo Brothers make a video to speak for the movement. The Rai – Italian Public TV – agrees to show it in an early evening slot, complete and without censorship, an event which is inconceivable today. Ciao Mamma Ciao Papà marks a radical break with the militant-ideological documentary. It offers a new form of narration where irony is used to express serious matters. The film is comprised of a single shot sequence of the city of Bologna filmed from the roof rack of a slow moving Renault. The intention is to look at the city from the point of view of the thousands of new visitors, who have come for a three day National Conference Against Repression that have seen participation of numerous intellectuals including French philosophers such as Félix Guattari among others. 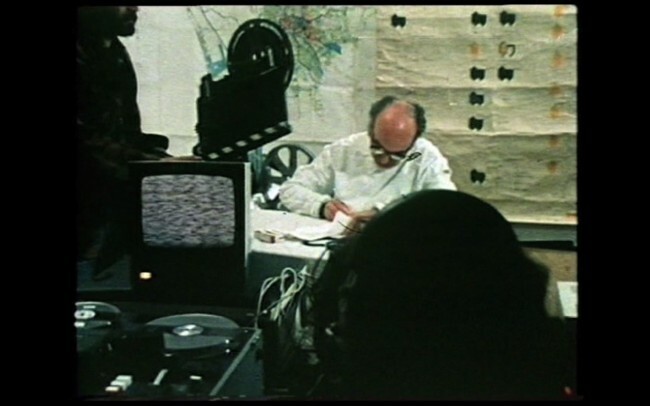 Image as a weapon is a video made together with youngsters during a workshop at the exhibition The Information Strategy (Milan,1976). It is not just a simple documentation but a result of a collective creation in which young interlocutors of Laboratorio di Comunicazione Militante (LCM) explore the diverse use of the tools for video recording that were still at the first phase of their development at the time and analyse the language and manipulations that lie behind the system of information. This document from 1977 is a perfect example of the typical strategies used by LCM, that through direct and socially engaged experience were aimed to decode and reveal some logics used by the main power structures. 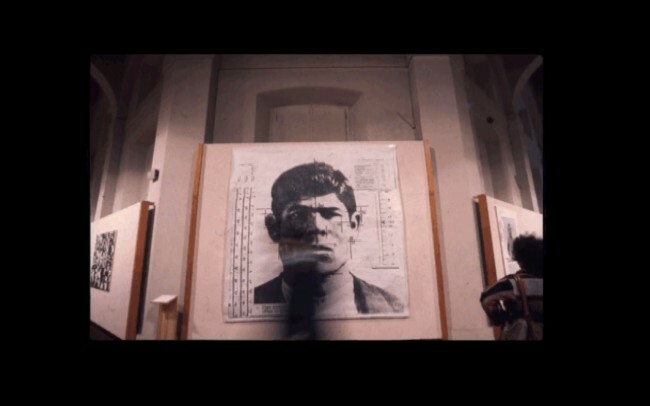 This work by Italian artist Gianfranco Baruchello and experimental cinema pioneer Grifi is their second collaboration which documents some of the “maître à penser” interviewed in Paris during ’78. 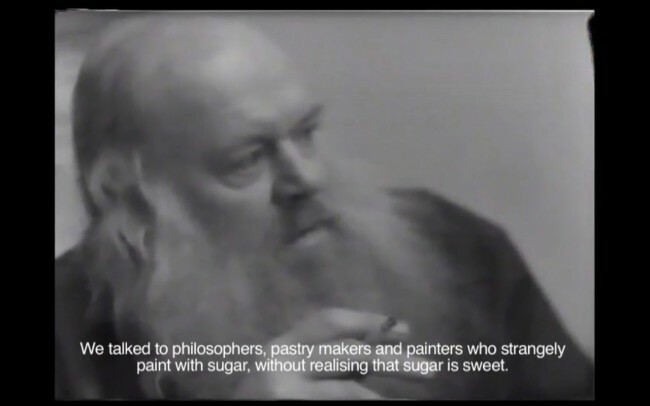 Using as a starting point for the interviews a discussion on sweetness and then death, black and white camera portrays thinkers like Lyotard, Cooper, Guattari, Klossowsky and others while they express their thoughts.